£4.5m of joint funding for up to 8 local authorities, aimed at improving the support services for children of dependent drinkers and alcohol dependent parents, has been committed by the Department of Health and Social Care and the Department for Work and Pensions (DWP). The fund is being managed by PHE, who announced today (Tuesday 22 May 2018) that local authorities (LAs) can now bid for funding. The impact of parental alcohol dependency on the lives of children can be significant and long lasting. Alcohol can be a major factor in causing parental conflict, which can lead to a range of poor outcomes for children including damaging their education, employment and health. It’s estimated there are 200,000 children living with adults who are dependent drinkers. Not only are children of parents with alcohol dependency more likely to become dependent themselves, but between 2011 and 2014 parental alcohol misuse was recorded as a factor in 37% of cases where a child was seriously hurt or killed. Similarly, a Department for Education’s census showed that in 2016 to 2017 18% of children ‘in need’ were affected by alcohol. Alongside this call for bids PHE has published a toolkit to support LAs in planning services. The toolkit includes data and advice on how best to meet the needs of children growing up in these situations and those of their parents and carers. This is the first time PHE has published local prevalence data of this nature. It is hoped that the data will assist LAs in identifying and commissioning appropriate services with sufficient capacity and resources in their area. There are about 200,000 children living with an alcohol dependent parent in England, always with consequences for their childhood and sometimes devastating. This new fund is an opportunity for local services to get help faster and more effectively to the most vulnerable children and parents and we hope to receive a range of creative applications. For far too long, children of alcoholics have had to suffer in silence, too embarrassed and afraid to seek help or know who to turn to. We know being the child of an alcoholic can lead to a lifetime of problems, from mental health issues to increased risk of alcohol abuse. Local authorities have the local knowledge and power to make a huge difference – that’s why it’s right we offer this lifeline to thousands of silent sufferers. Alcohol abuse can have a poisonous effect on a home – it can lead to increased conflict and can ultimately tear families apart. We want to prevent this from happening, and this initiative will get help to alcohol dependent parents earlier and make sure that children are also supported. As a former councillor, I know how effective local authorities can be in delivering targeted support to families in need and I’d encourage them to apply for funding to develop proposals to tackle this hugely important issue too. In total, PHE is expecting to fund up to 8 areas. The application phase for the innovation fund opens on 22 May 2018, running until 17 July. The total available fund is up to £4.5 million over 3 years. 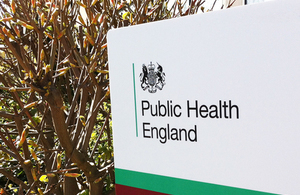 Those interested in the fund should submit an application form to InnovationFund@phe.gov.uk. Successful applicants will be able to draw down a revenue grant to support their work over the period 2018 to 2019, to 2020 to 2021. Areas that are working with the DWP’s reducing parental conflict programme are out of scope for this funding. Payments to successful applicants will be awarded to the local authority as a section 31 grant, under the Local Government Act.